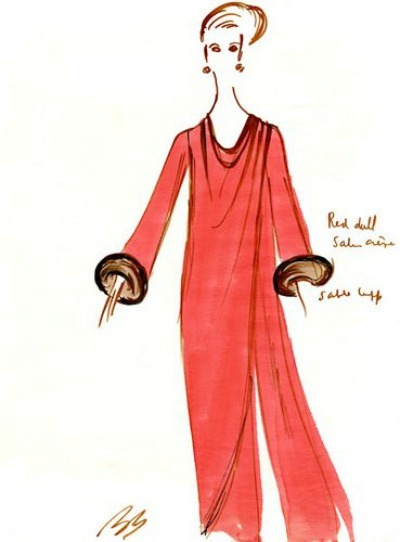 Advise from Bill Blass: "When in doubt wear red." 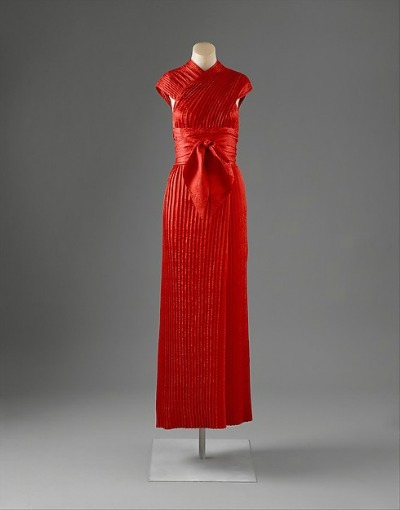 A sign of power and passion, red makes the wearer feel more sexually appealing. Even a splash of red lipstick will do the trick. 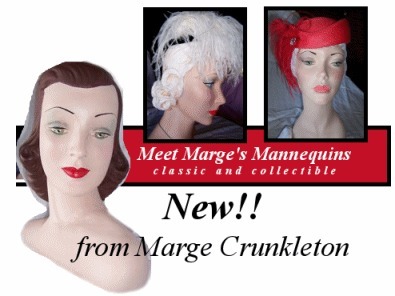 Fifties women considered their lipstick as much a fashion accessory as their jewelry and hats. 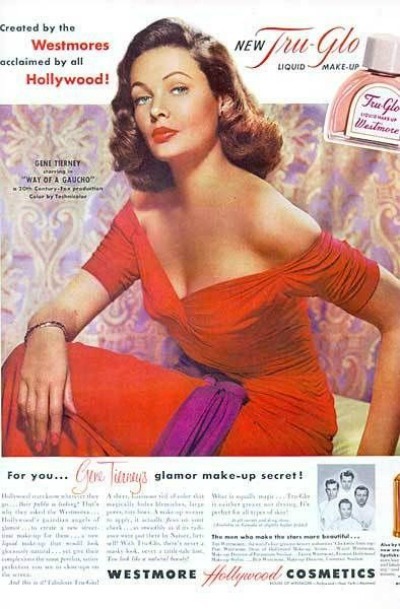 Most wore true red lipstick colors with Dorothy Gray's "Cherry Bounce", Lournay's "Bright Red", and Revlon's "Tournament of Roses" a few of the fifties' favorites. 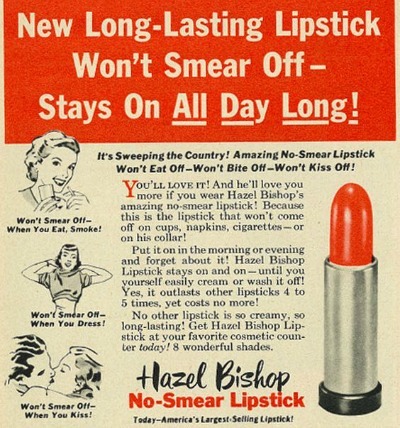 Hazel Bishop developed and manufactured the first long-lasting lipstick in 1950. Of course, their nail polish color matched their lipstick. 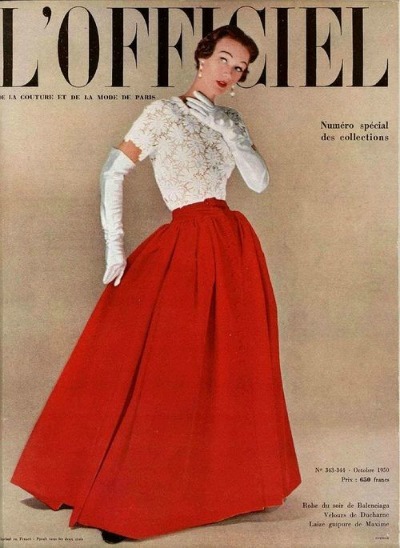 Christian Dior: The real proof of an elegant woman is what is on her feet." 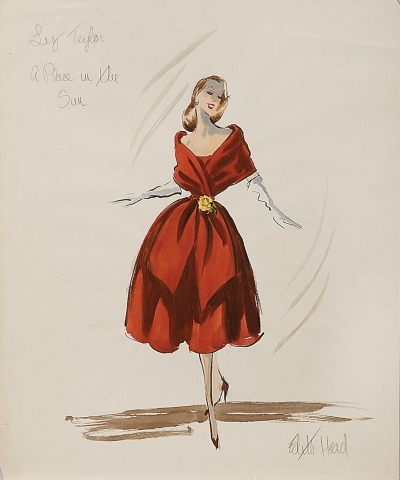 Edith Head Sketch for "A Place in the Sun"
Our final crimson selection is from Bill Blass, an American men's and women's fashion designer who was the recipient of seven Coty Awards and the 1999 Fashion Institute of Technology's Lifetime Achievement Award. 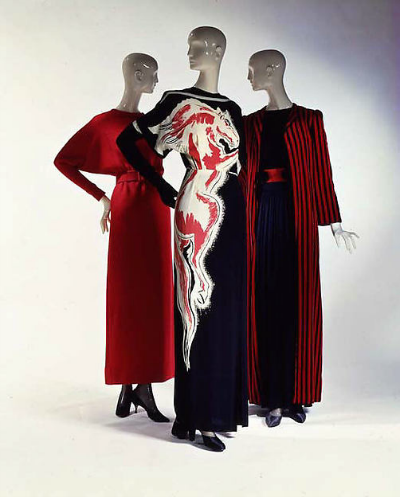 Bill Blass died in 2002. I am not a flamboyant person but I do enjoy a little red in my wardrobe. 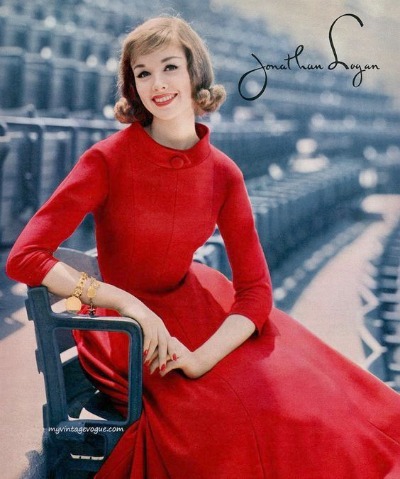 If you are not quite comfortable wearing a full out red dress, why not carry that red quilted clutch you have or snap that glossy red bracelet around your wrist. 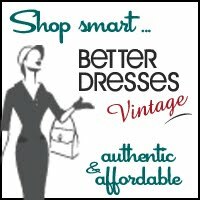 We could start a trend! Still not sure? 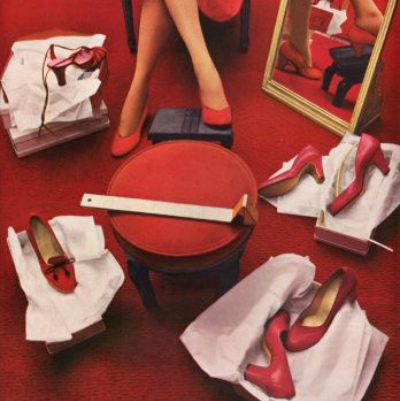 Listen to Tommy Tucker's encouragement to put on your red dress from his 1964 blues single "Hi-Heel Sneakers."